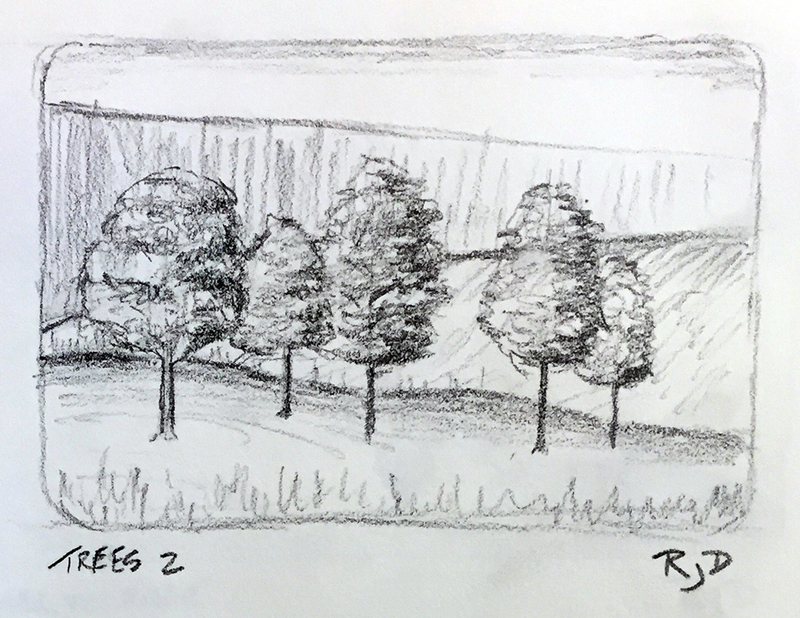 As I continued to evolve my working process, I moved on from my Kohala series to another subject — trees. This was an interesting subject for me to take on, because I am trying to keep the representational details in my pieces to a minimum, to focus on color, composition, atmosphere and overall mood of the piece. 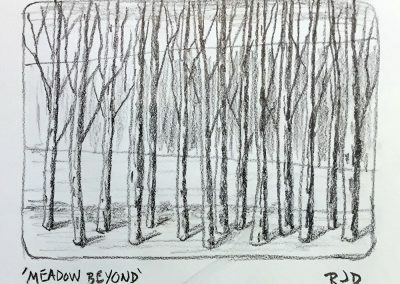 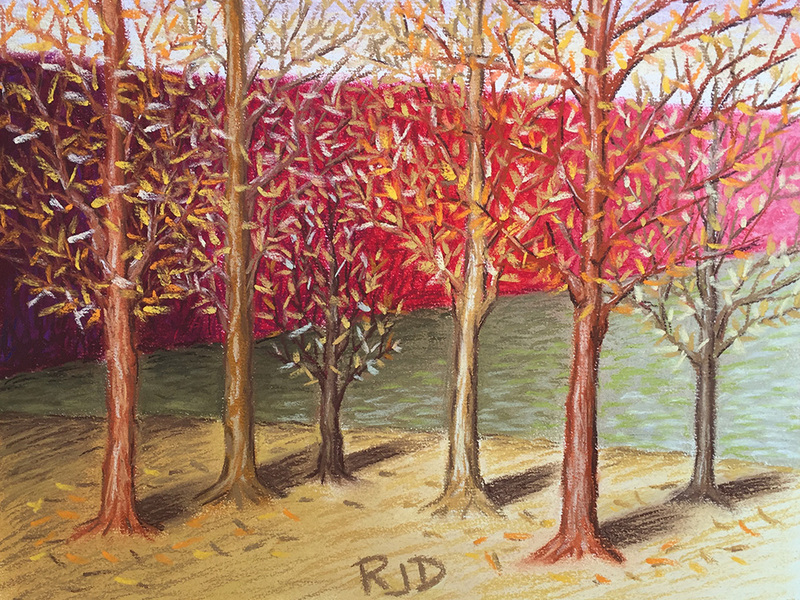 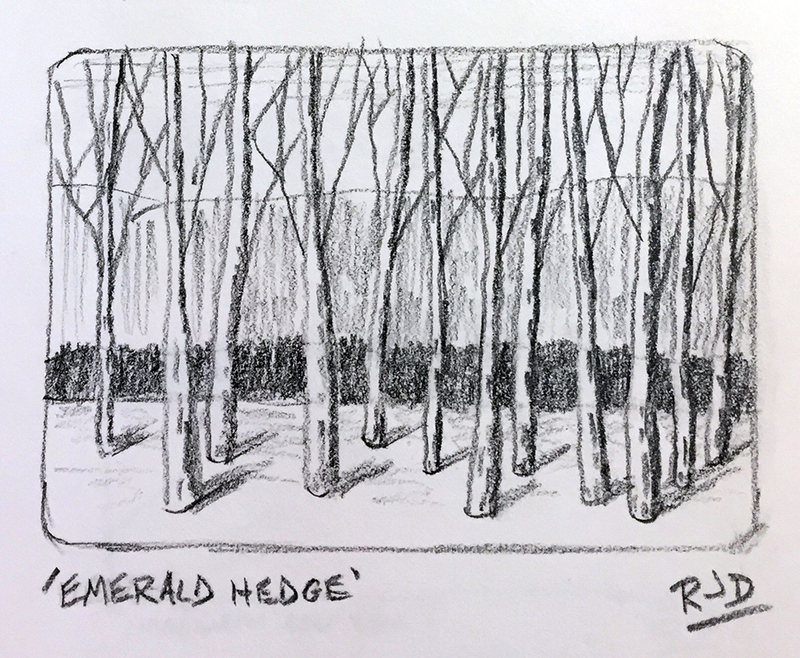 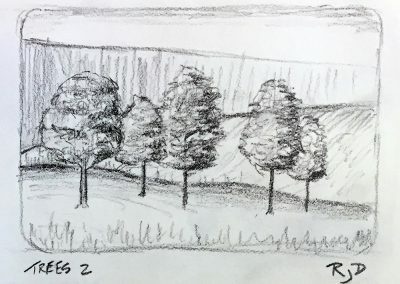 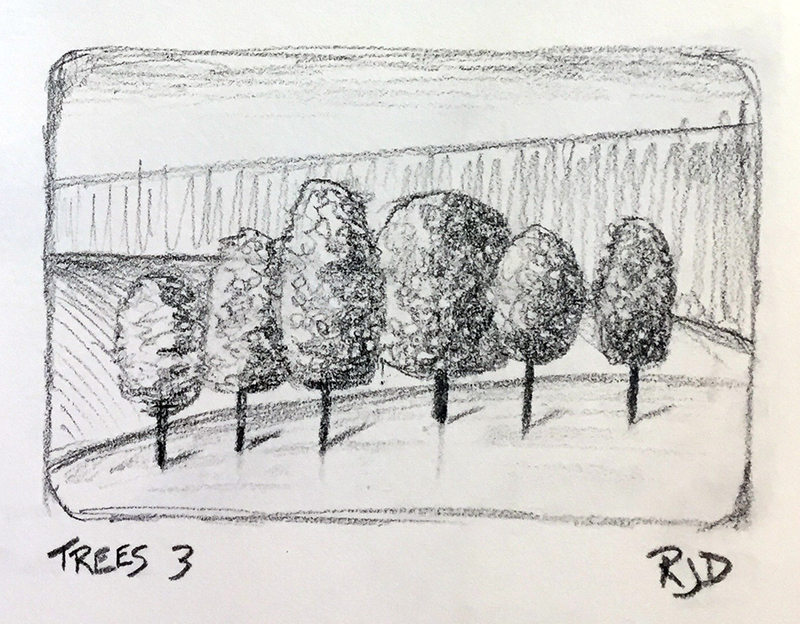 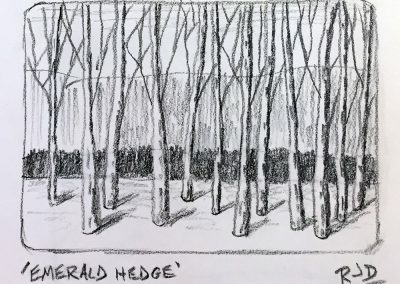 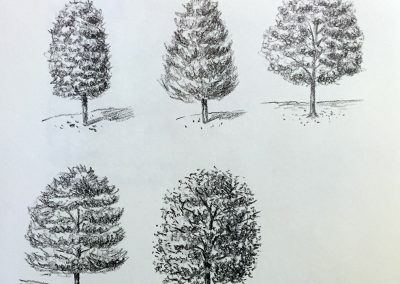 Trees by their very nature are detailed, so I needed to develop a visual language that would fit what I was trying to accomplish, as well as my color palette and pictorial compositions. 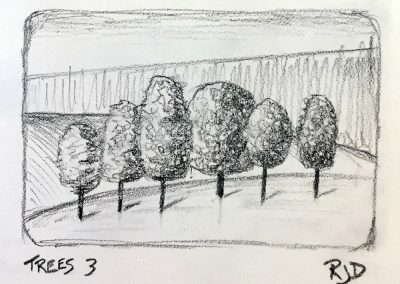 I began with a number of sketches (seen in the gallery below), trying to figure out what I would focus on and how I would arrange the visual space of each piece. 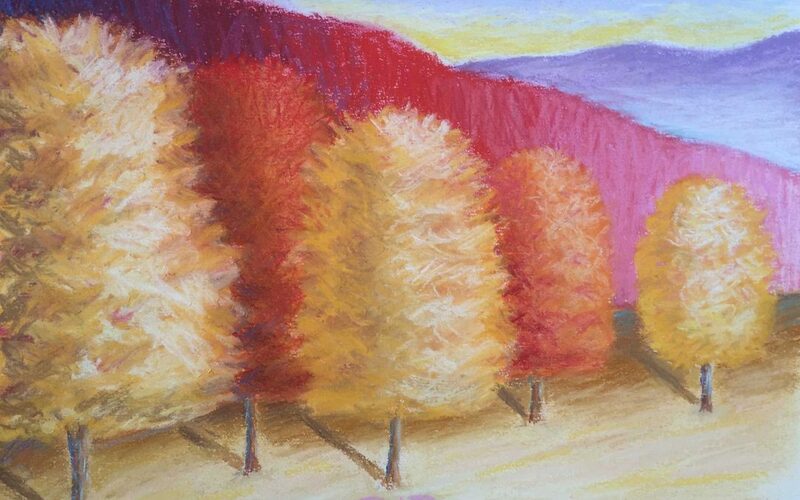 I started just focusing on the trunks, and keeping the pictorial space relatively flat. 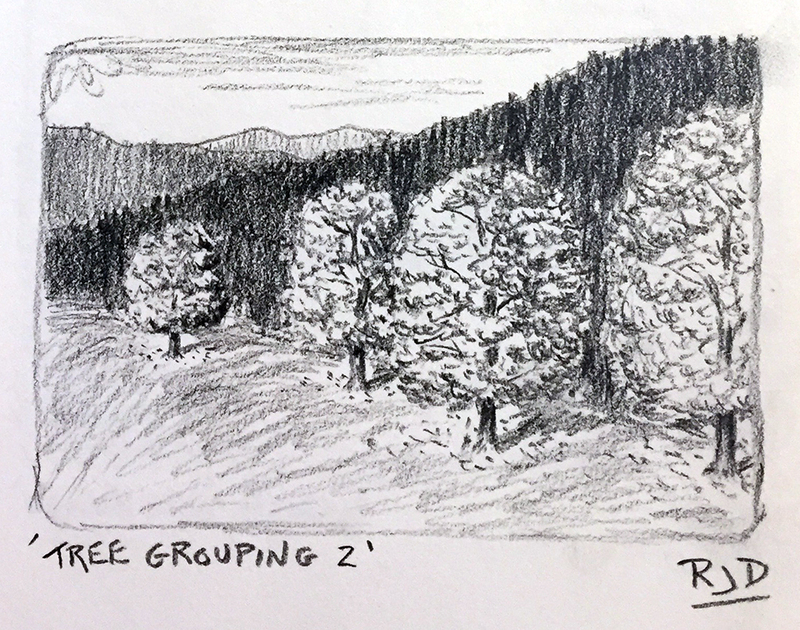 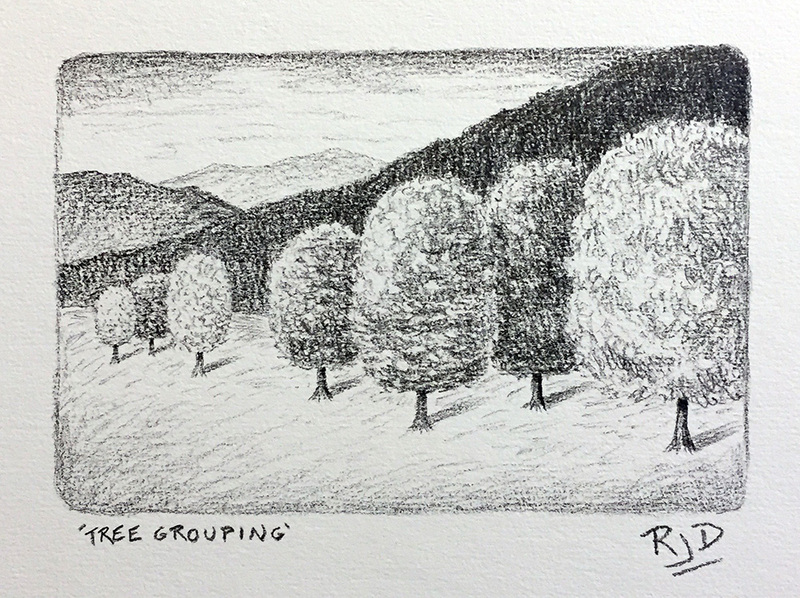 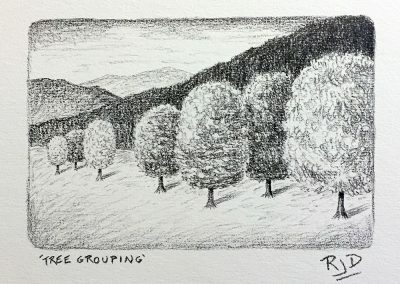 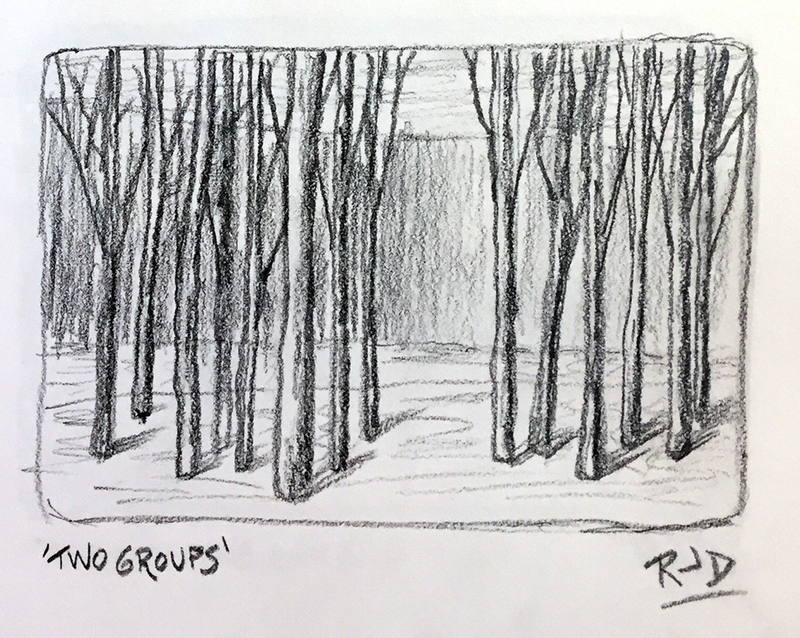 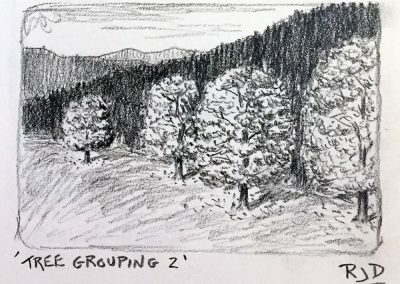 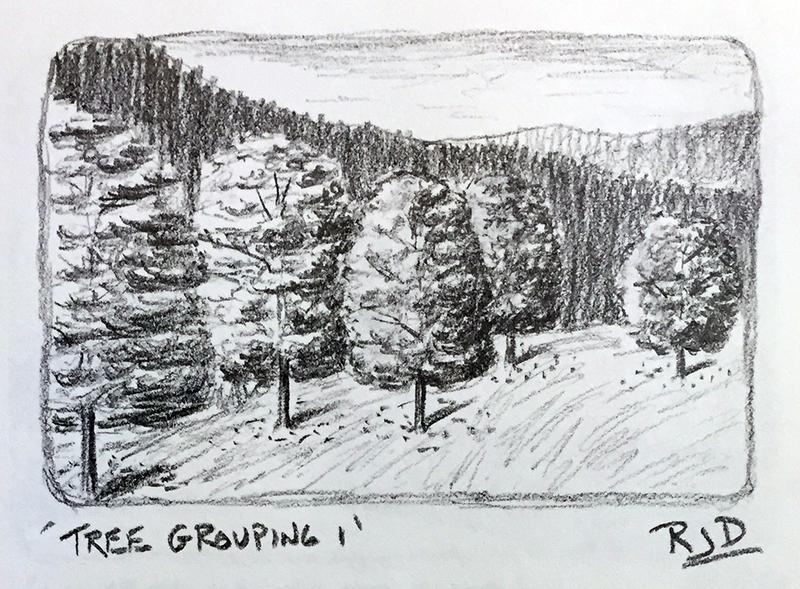 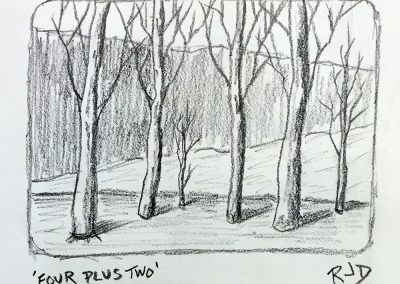 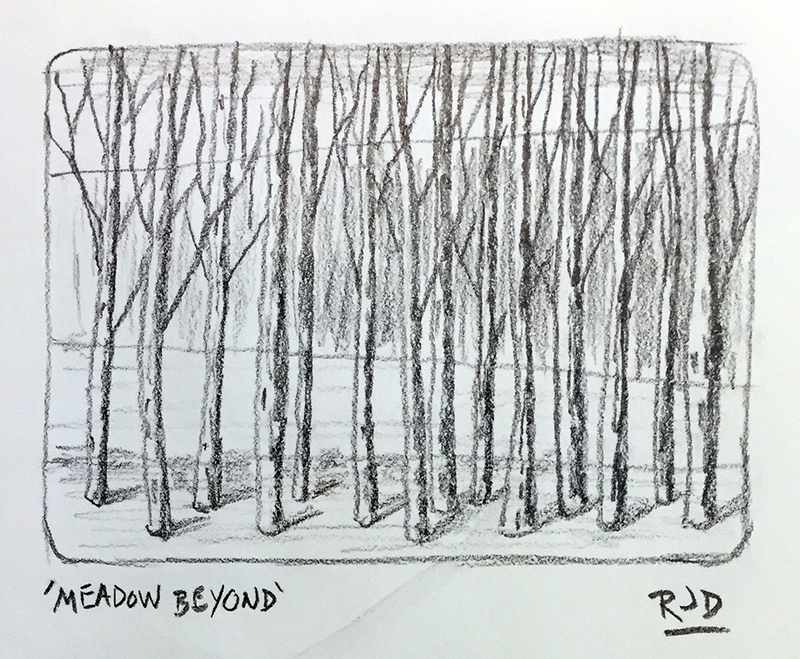 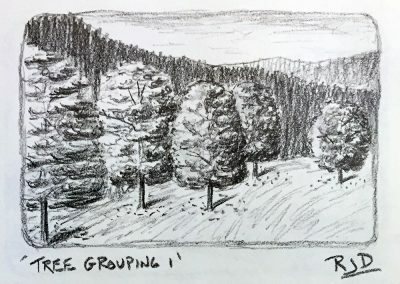 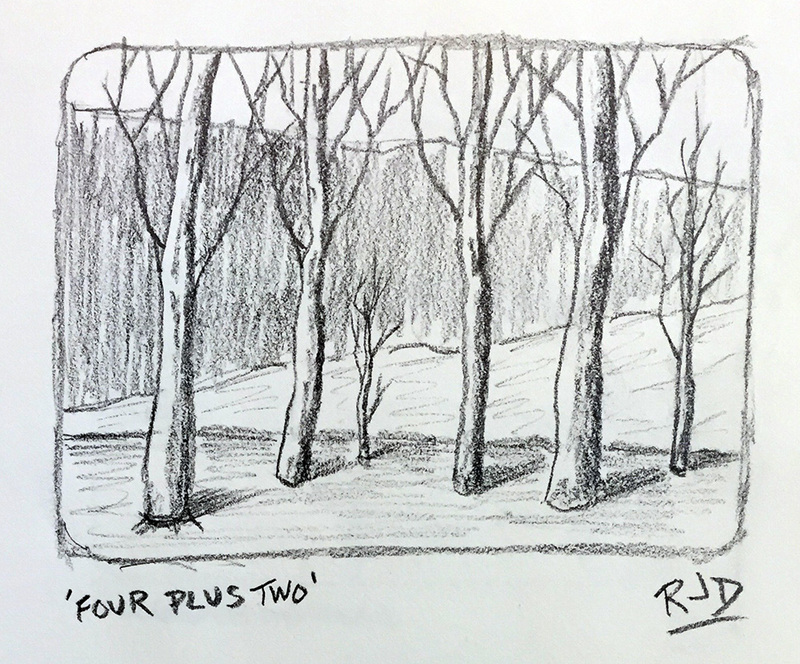 I moved on to tree groupings, and compositions that had more depth. 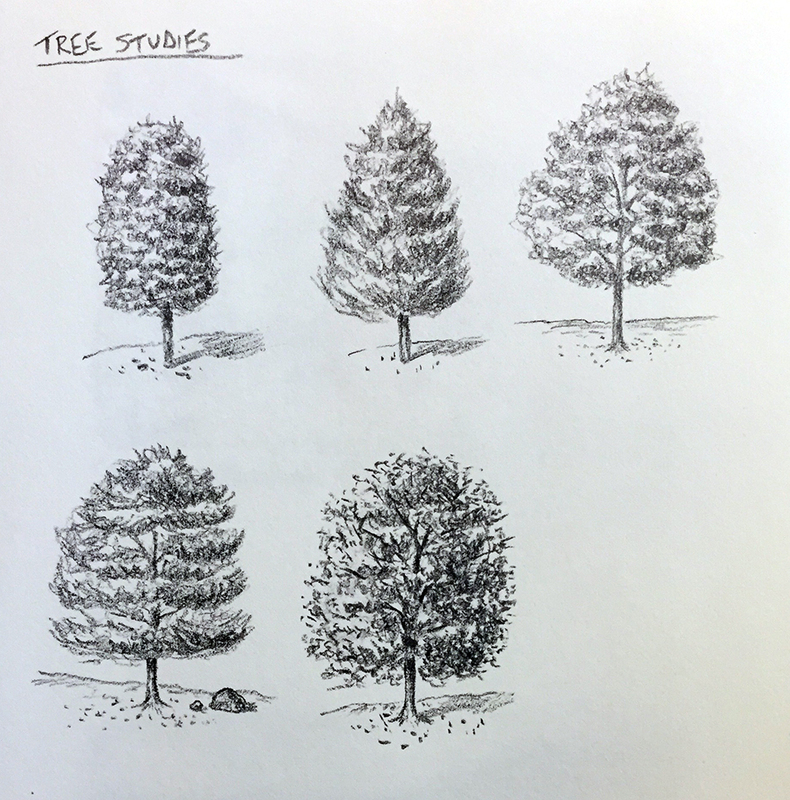 I also worked on a few sketches of actual tree forms, trying to resist the temptation of getting too detailed, but still remaining true to the essence of what a tree is. I made a few pencil drawings, followed by a few pastels, and then moved on to one large 30 x 40 oil painting. 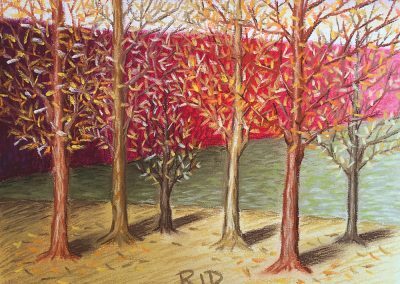 All pieces featured a warm color palette reminiscent of autumn colors — I started the series in Fall 2016 so this was a logical choice. 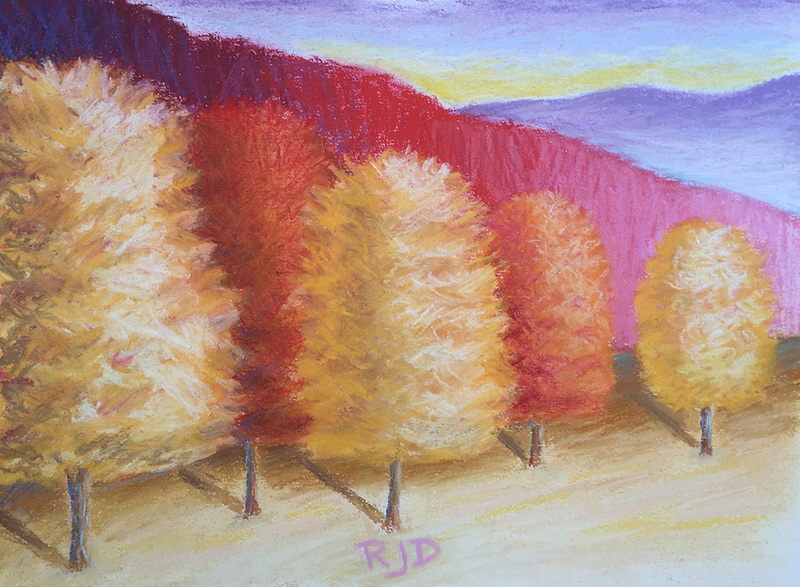 I added some brighter colors to the oil painting’s palette, because I wanted to push the chromatic range further than the pastels, and let the painting tell a more vibrant story. 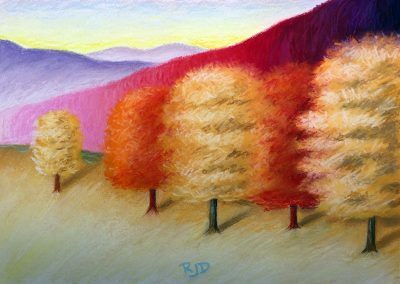 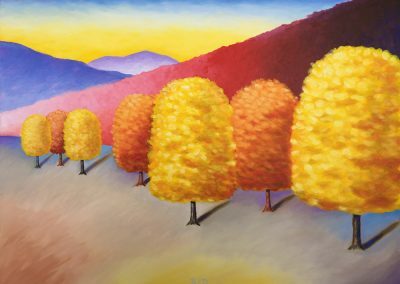 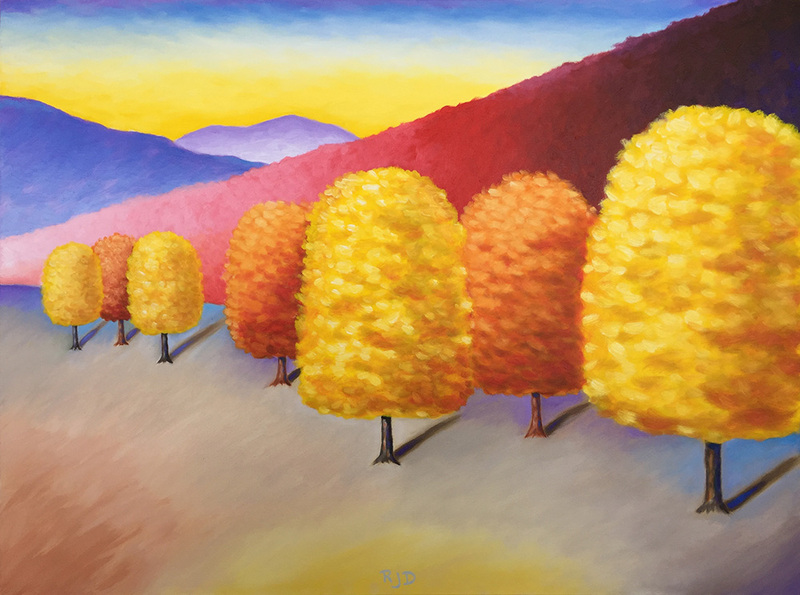 The tree series helped me to further develop my working methods, color strategy and compositional approach. 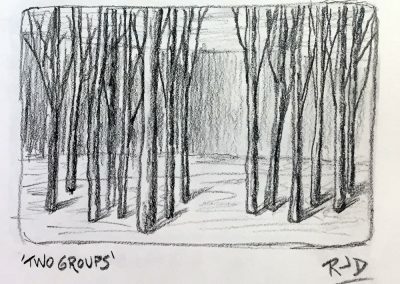 I’ve moved on from this series, but will most likely return to the subject in the future, utilizing different compositions and color palettes to tell a different visual story.